I love cooking with cast iron. It is non toxic, and it also has a non-stick surface. 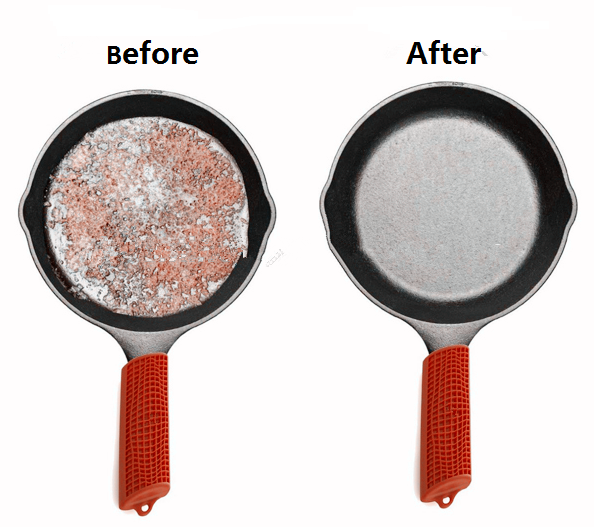 So many non-stick pans are harmful to your health, and that is why using cast iron is a good choice. Some places to find good, inexpensive cast iron include garage sales, your grandma's kitchen (ask her first though!) and secondhand stores. Sometimes they are rusty and gross looking -- but they are easy to get back to the right condition, in all their glory! This chainmail scrubber is the perfect tool to scrub the cast iron pots and pans. It is made out of 316 stainless - the highest food grade steel in the industry (so it won't rush, knick or go bad). It is strong, yet gentle enough so it doesn't scrub away years of accumulated "Seasoning" in the cast iron pan. It is easy to use, and can last as long as the cast iron (which is practically forever). 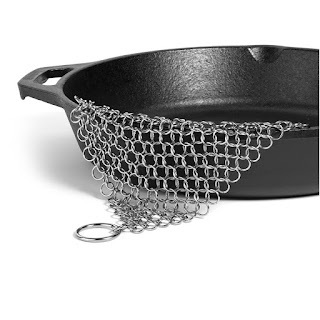 AND, you can use this chainmail scrubber on other pots and pans that you have in the kitchen -- including stainless steel.